Classes available from beginner to advanced, private, too. 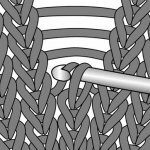 Learn how to knit...hats, scarves, cowls, blankets and even sweaters! Time to learn a new craft! HELP!! I've made a mistake! 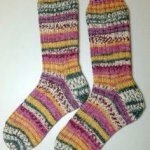 Learn to knit socks from the top down. A beautiful crocheted shawl for spring. 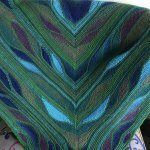 A beautiful shawl with a stained glass effect. Classes must be paid for in full at the time of registration to secure your space. Space is limited. Dixie Knits will refund your class fee if you cancel 8 days or more in advance of the first class meeting. 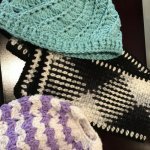 If you cancel within 7 days or less, Dixie Knits will give you a store credit. We reserve the right to cancel a class if too few people are enrolled. You will be notified immediately and your class fee will be refunded. If the class is cancelled due to unforeseen reasons (illness, weather, etc), you will be notified immediately and Dixie Knits will reschedule the class as quickly as possible. Note the skills required for the class you are enrolling in and please make note of any homework that may be required of you. There is room for registered students only. 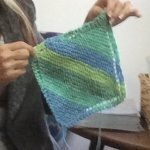 Dixie Knits asks that you purchase your supplies from Dixie Knits. We appreciate your business. If you have not purchased your materials ahead of time, please come at least 20 minutes prior to the start of class so you have time to shop. You will receive a 10% discount on materials purchased for class! Instructors may provide handouts and they are for registered students only. Any copies of class handouts are a violation of copyright law.